In responding to the blog that is Part 3 of my original article, Mattogno starts out misrepresenting the meaning of my introductory statement: "Mattogno seems to be especially happy that the number of unburned corpses still lying in the Belzec mass graves is, in his opinion, very low.". He confirms the fact that not all drillings were so deep that they could even have hit layers of corpses, which as a rule were at the bottoms of the graves, but claims that in the context of his critique this is of no importance whatsoever. Why is it supposed to be of no importance? Because Kola’s book has been adopted by "holo-propagandists" as material proof of the "presumed extermination of Jews" at Belzec and that was the only reason why he decided to "examine" and "refute" it, Mattogno tells us. As the "holo-propagandists" have only invoked what Kola has published in his book, and not what he has not published, Mattogno addressed only what has been published. This his hardly a justification for a false juxtaposition between the number of "positive" drills and the number of core samples visualized in Kola’s book, not to mention the blatantly dishonest juxtaposition of "positive" drills on the one hand and the total number of drills in mass graves, especially as the latter is based on the obviously false claim that only the drills visualized in Prof. Kola’s book as having found corpse layers or (larger) human remains actually found such layers or remains. What is more, by his own criterion of taking into account only what Kola has published and not what he has not, Mattogno should also have taken into account the detailed descriptions of mass graves in which human remains were found, which are quoted in my original blog. Why, then, were the corpses of the mass graves at Belzec not exhumed? The answer is implied in the analyses of the probes taken out during the drillings. The idea that Mattogno tried to sell his readers here is clear: the mass graves at Belzec were not excavated, so he claims/insinuates, because the results of the core drillings were so modest that excavation was expected to yield results contrary to the "official" narrative of mass murder at Belzec. Mattogno was peddling a conspiracy theory based on a misrepresentation of a) the purpose and context of Prof. Kola’s archaeological investigation, and the restrictions as concerns contact with human remains emanating from that purpose, and b) the results of Prof. Kola’s work (especially as concerns the juxtaposition of 5 "positive results" vs. 236 drills in mass graves), whereas refuting the estimates of O'Neill and Tregenza was at best secondary to this main purpose. And now he is topping this dishonesty by falsely claiming that his main purpose in throwing sand into his readers' eyes as concerns the core drilling results was not what it all too obviously was, and furthermore falsely accusing his critic of what Mattogno so prominently displayed – intellectual dishonesty. The self-portrait that Mattogno is providing could hardly be more unfavorable. (…) A. Kola asserts that ten graves (# 1, 3, 4, 10, 13, 20, 25, 27, 28, 32) were "filled with bodies in wax-fat transformation," but then hastens to add that they were located "in bottom parts of the ditches, as a rule," which means that these graves were not, in fact, 'filled' with corpses in a state of saponification. and accusing me of having "revealed" what he had not hidden. He is thus not only falsely pretending that I accused him of having omitted Prof. Kola’s "assertion" – which I did not, as the above quote from my original blog shows – but also ignoring the point of my comment, which is that Mattogno apparently dismisses as mere unsubstantiated assertions of Prof. Kola’s the corpse layers in graves nos. 1, 4, 13, 25, 28 and 32, i.e. tries to make believe that Prof. Kola made claims against better knowledge. It was to counter this insinuation of unsubstantiated assertion that I quoted Prof. Kola’s detailed descriptions of the mass graves in which corpse layers had been found, as Mattogno also "forgot" to tell his readers. The surface of the grave is about 12,00 x 5,00 m. The maximum reported depth of the grave, basing on the drills reaches about 4,00 m. The contents is mixed. The bottom of the grave contains 40-50 cm layer of bodies in wax-fat transformation, covered with a lime layer. Above that there is a layer of body ashes with the thickness of about 60-8 cm, covered with 80 cm layer of sand. In bottom view with the shape of a lengthened rectangle it reached the sizes of about 15,00 x 5,00 m, with the depth of over 4,00 m. The contents is mixed in structure; the bottom part contains bodies in wax-fat transformation, covered with lime at the depth of about 3,60 m. Above that appears the mixed structure of crematory ashes with charcoal. Emphases have been added to the parts of the quoted descriptions stating or indicating the thickness of the layer of bodies in wax-fat transformation in each grave: 1 meter in grave # 13, 40-50 centimeters in grave # 25 and at least 40 centimeters in grave # 32. As the area of each of these mass graves can also be roughly estimated on the basis of the description data and the plans and sections shown in Part 2 of my original blog, Mattogno even having included a table with area as well as volume estimates for each grave in his book, where was the problem with estimating the volume of the corpse layers in each of these graves, and on the basis thereof making a rough estimate of the number of corpses? The areas of graves 13, 25, and 32 are respectively ~ 200, 65 and 75 square meters, which means that the volume of the corpse layers described was about 200 cubic meters in grave # 13, 26 to 33 cubic meters in grave # 25 and at least 30 cubic meters in grave # 32 – altogether 256 to 263 cubic meters of body mass. At the concentration of about 15 corpses per cubic meter considered in section 4.1 of my original blog(which is still a conservative assumption, as shall be demonstrated when discussing Mattogno's response to that section), this would mean at least 3,840 bodies in those three mass graves alone. Even at the concentration of 8 corpses per cubic meter that Mattogno proclaimed to be the "maximum capacity of a mass grave", these corpse layers described would correspond to over 2,000 corpses in these three graves. In bottom view it had a shape close to a square with the size of 16,00 x 15,00 m, and the depth of over 5,00 m. Underground [waters] at the depth of 4,80 m. The contents of the pit is mixed - from about 20 cm from the top to the depth of about 4,00 m crematory contents with charcoal appears; a layer of bodies in wax-fat transformation below. In the bottom view it has a shape of a lengthened rectangle of size 18,50 x 6,00 m, with the ultimate depth reaching up to about 5,00 m. The contents has a mixed character. The bottom part consists of nearly 1 m thick layer of bodies in wax-fat transformation, over it there is 20-25 cm thick a layer of lime; above - over 2 m thick intensive layer of charcoal with the small contents of crematory ashes (similar structure was reported only in 2 middle drills). The area of these mass graves is respectively 240 and 540 square meters, according to Mattogno’s table, the latter value being an obvious mistake: the dimensions of the grave are 18.5 x 6 meters, so the area was 111 and not 540 square meters. The corpse layer at the grave's bottom is about 1 meter thick in each, assuming that the layer in grave 3 starts at the depth of 4 meters and goes down to graves’ bottom at 5 meters. So we have (240x1) + (111x1) = 351 cubic meters of corpses in these two graves, i.e. at least 2,808 corpses (8 per cubic meter) but probably as many as 5,265 (15 per cubic meter) or more. The lame post-hoc excuses that he now tries to justify his dishonest approach with only make "Revisionist" coryphée Mattogno look even more miserable, of course. In the original blog I criticized as absurd Mattogno's assumption that in the area of the huge grave # 10 there were "two small graves of 40 to 50 square meters with several layers of corpses at the bottom", pointing out what this assumption would imply, i.e. that only 160 to 200 cubic meters of a mass grave with a total volume of 2,100 cubic meters, i.e. less than ten per cent of the total, were actually used for burying bodies. Anticipating a possible objection to my argument, I added that an explanation whereby the rest of the grave volume could have served as ash deposit from the beginning would not hold water either, because the graves identified by Kola as serving for ash disposal only were much smaller and a single pit with a volume of 2,100 cubic meters, as I later demonstrated in section 4.5 of the original article, was enough to hold the ashes of all people killed and burned at Belzec according to the "official historical version". Mattogno reacts to this criticism by furiously protesting that I accuse him of having made assertions he never made – a reaction he could have avoided by reading my text more carefully (well, maybe he did) and realizing that I was talking not about something he had written, but about the implications of what he had written, which made his writing come across as a rather ill-reflected conjecture. He had not advanced any supposition as concerns "the rest of the pit" (i.e. the 2,100 minus 160-200 = 1,900 to 1,940 cubic meters of burial space not taken up by his "two small graves of 40 to 50 square meters"), he tells us before announcing his later conjectures about the contours of grave # 10 being, like those of all other graves identified by Prof. Kola, "artificial" and not borne out by the core drillings. (These conjectures will be addressed when I discuss the respective section of the risposta. For now let is just be said that grave # 10, with its rather even-shaped area and bottom, is a particularly unsuitable candidate for such conjectures.) All he had done in his book, Mattogno continues, was to reveal the "obvious and incontestable" fact that the drillings in grave # 10 showed the presence of corpses in wax-fat transformation in two small separate parts of the grave, and to draw a logical through hypothetical conclusion from this fact. One wonders what the point of mentioning this fact and drawing this conclusion without accounting for the enormous "rest of the pit" could have been, other than creating the false impression that the mass grave in question (# 10) had been a rather small one. But before that, is it really an "obvious and incontestable" fact that the drillings in grave # 10 showed the presence of corpses in wax-fat transformation in two small separate parts of the grave? Mattogno claims that, whereas drills 483/XV-30-60 and 485/XV-30-50 in Prof. Kola’s Figure 13 produced "positive" results, i.e. hit human remains, drill 484/XV-30-55, in between those two, was "negative", i.e. no human remains were found in that drill. 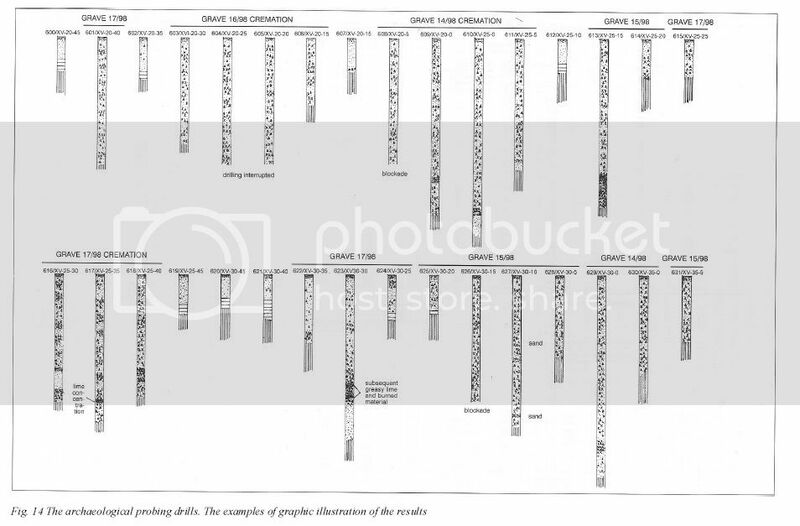 Actually, if you look more closely at grave # 10/98 in Kola's Figure 13, you see that core sample 484/XV-30-55 also shows the stylized "x" shapes designating "human bones and wax-fat mass" (Mattogno reads the caption in Figure 12 in the sense that the symbol designating human bones and wax-fat mass is a double stylized "x", but this reading is incorrect as it would imply that only the number and assortment of dots shown in square preceding the symbol for "human bones and wax-fat mass", and not any other number or assortment of dots, means "burned human bones"), and it mentions a "canine tooth" and a "blockade". 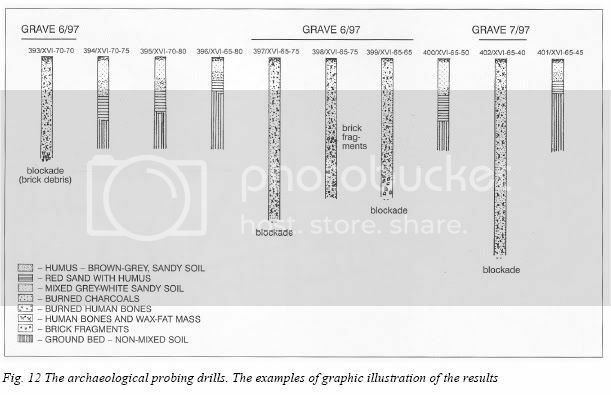 The "blockade" in sample 484/XV-30-55, although this is not expressly mentioned as it is in sample 486/XV-25-50, is probably also a spot where the drill couldn't go further because of bodies in wax-fat transformation, as such blockades were encountered at various depths of grave # 10 according to the grave's description ("The grave was very deep (the drills in particular places were stopped at the depth of 4,25 to 5,20 m, because of bodies in wax-fat transformation and underground waters presence."). Should Mattogno want to argue that the blockade of sample 484/XV-30-55 is due to underground waters, he should bear in mind that this is unlikely because the adjacent drills came upon bodies in wax-fat transformation at a greater depth and only 485/XV-30-50 touched ground water (after passing at least two layers of bodies in wax-fat transformation). An omission of the mention "human corpses" behind "blockade" in sample 484/XV-30-55 is more probable. With core drill 484/XV-30-55 having hit human remains just like core drill 483/XV-30-60 to the left and core drill 485/XV-30-50 to the right of it, Mattogno’s theory of "two small graves" goes down the drain. Figures 12 and 13 from Prof. Kola's book have been inserted below for better understanding of this demonstration. Mattogno points out that his (mistaken) conjecture of "two small graves", together with the alleged "artificiality" of the mass graves' contours and sizes identified by Prof. Kola, is in line with his theory that the graves containing bodies in wax-fat transformation, which "are not concentrated in a definite area, but are scattered throughout the camp", "pertain to the previous camp administration and therefore go back to 1940, when Belzec was originally used as a camp for gypsies and later integrated into the ‘Otto-Programm;’ in both instances plenty of victims were buried in the camp". It's amusing to notice that Mattogno apparently considers the administrators of the Otto-Programm camps to have indulged in the very haphazard and random distribution of graves that he considers beyond a good German extermination camp commandant. But Mattogno wouldn't be Mattogno if he had not realized and tried to weed out this obvious self-contradiction by arguing that "At that time, the structure of the camp was different from what it was later on, and there was more space; this may explain the unusual position of these mass graves." Why would they need as many as ten mass graves "scattered throughout the camp" in one of the Belzec forced labor camps in 1940, assuming that the area of any of these camps wholly or partially coincided with what is known to have been the area of Belzec extermination camp (which, as we shall see, was not the case)? How many people are known to have died in the Otto-Programm labor camps in 1940? An online page about these camps, which functioned from May to October 1940, suggests that the number of deaths was in the hundreds rather than the thousands, the graves of Gypsy victims being located "in Belzec near the railway and the road to Jaroslaw", whereas of the Jewish forced laborers "around 200 victims are buried in an old park near the manor" and many others "in the forest 'near Jan Woloszyn's house'(the exact location is still unknown, probably the forest opposite to the death camp, behind the furniture factory and Wirth's house)" and "on the Jewish cemetery in Tomaszow Lubelski". The Gypsy burial places are outside the area the area of Belzec extermination camp. So are the Jewish burial places, which harbor the dead from among about 6,000 Jews held at various places inside and outside Belzec: "The manor (1,000 people), Kessler's Mill (500) and in the locomotive shed (1,500). Outside Belzec the prisoners lived and worked in Cieszanów (about 3,000), Plazów (1,250) and other locations." So we can conclude that both the number of victims of the 1940 Belzec labor camps and the location of their graves flies in the face of Mattogno’s Otto Program conjectures, and that independently of the fallaciousness of his claims about the "artificiality" of the Belzec mass graves’ contours, to be addressed later on. Further evidence that these conjectures are nonsense is provided by Mattogno himself in the second paragraph following the Otto Programm quote from his book, as he refers to what he wrote about the Polish crime site investigations at Belzec in October 1945 and especially to his conspiracy theory that "the general tone of [coroner’s] report and its insistence, in the description, on single bones as if they were unique pieces leaves us wondering about the value one should attribute to the 'very large' quantity of corpses conjectured by the coroner". The silliness of this conjecture aside (Mattogno apparently failed to realize that the investigators were interested in what kind of people were buried in the soil of Belzec, namely whether they included women and children, and that this explains their focus on certain single bones), Mattogno did historiography a favor by quoting/translating from the October 12, 1945 report by the Regional Investigative Judge of the district court of Zamosc, Czeslaw Godzieszewski, and the coroner’s report of October 13, 1945, as I pointed out in another blog in which I transcribed Mattogno’s quotes/translations. The description of thick layers of human ashes in the excerpt from Judge Godzieszewski’s report, which would allow for a rough estimate of the corresponding number of human beings if data about the area of these ashes layers were available, is especially detrimental to the Mattogno's pet theories about the origin and purpose of the Belzec mass graves. As we shall see in a later blog of this series, Mattogno cannot offer any plausible explanation as to why on earth the corpses of labor camp victims, and later of deportees dead on arrival at Belzec, should have been cremated rather than simply buried as was done elsewhere, and is accordingly reluctant to address this issue in his risposta. Complementing the reports partially quoted by Mattogno there is the report about an official inspection of the Belzec site on 10 October 1945, obviously by the same examining judge, the German translation from Polish of which is quoted by German public prosecutor Adalbert Rückerl. What follows is my translation of a part of that report, which illustrates the extent of the mess of human ashes and other partial remains, brought to the surface by robbery diggers, and especially the size of the area covered by that mess. The last part of Mattogno’s response to Part 3 of my original article addresses my quotes of excerpts from pages 65 and 13 of Prof. Kola’s book, in which Prof. Kola explained the reasons for his "approximating method" criticized by Mattogno and mentioned that the core drilling method applied at Belzec was similar to the one used by Prof. Kola when investigating the graves of Polish POWs murdered at the time of the Katyn massacre in two other locations in the Soviet Union. Mattogno sees the quote from page 65 of Prof. Kola’s book (in which the author refers to the limited time of the program and the vast area to be examined as the reason why "the probings were made at the cuts of 5 m long nets, assuring complete archaeological recognition, however, with a rather small accuracy in marking the ranges of the located objects") as an "aggravating" confirmation that the archaeological work at Belzec was carried out "in a hurry and approximately" ("in fretta e approssimativamente"), and argues that the distance of 5 meters between drills is excessive to establish precisely and not approximately what things are below ground unless the drillings are followed by a complete excavation of the corpses, as was done by the Germans at Katyn and Vinniza in 1943. In this he ignores that core drilling at the intervals in question is considered by an archaeologist to assure to assure "complete archaeological recognition", and that if one drills into human remains every five meters it is reasonable to assume that the area in between drills also contains human remains, unless there is the possibility of something else in between. As the possibility of buildings or other non-grave objects in between the mass graves could be ruled out, drilling at an interval of five meters allowed for sufficiently precise data, especially in the context of a survey of the whole area for mass graves having in view the construction of a memorial, rather than the endeavor to provide physical proof of mass murder that Mattogno falsely claims Prof. Kola's investigation to have been. As to Mattogno's repeated reference to the German Katyn and Vinniza investigations as a benchmark of what is required to obtain and document physical evidence of mass murder, one wonders what Mattogno would by such standards make of Soviet killing sites where some but not all of the bodies were exhumed (as in Prof. Kola's investigation of the Soviet "Katyn crime" killing sites at Kharkiv and Miednoje ) or where no exhumation or core drilling has been done at all (as is the case with the overwhelming majority of killing sites from Stalin's purges in the late 1930s and other Soviet crimes). Would he dismiss the evidence of these crimes as inconclusive or try to reduce the number of their victims and play them down in other respects as well, as he does in regard to Nazi crimes? Considering certain company that Mattogno keeps, that is not an entirely improbable future scenario. Controversie, Pages 6 to 12. Carlo Mattogno on Belzec Archaeological Research - Part 3. References to the "original blog" in the following are references to this part of my original article, unless otherwise stated. See blogs Carlo Mattogno on Belzec Archaeological Research - Introduction and Part 1 and Belzec Mass Graves and Archaeology: My Response to Carlo Mattogno (1). 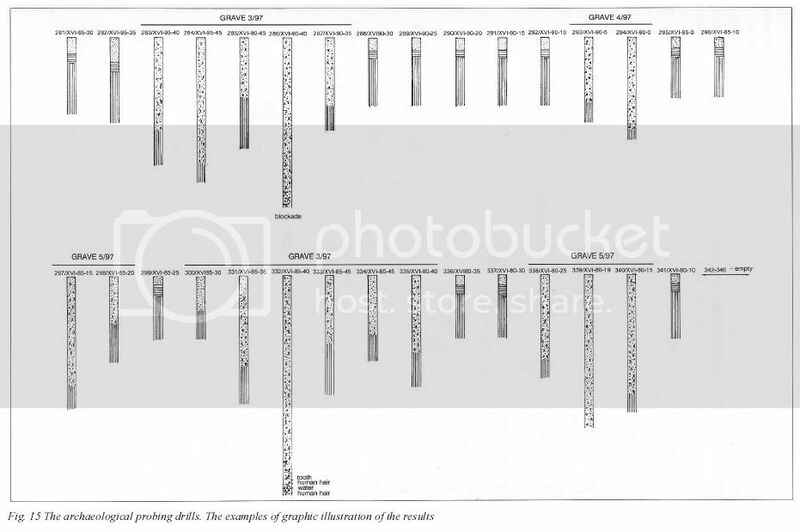 See Figure 12, Kola, Belzec, page 14; Figure 13, page 15; Figure 14, page 16; Figure 15, page 17; Figure 16, page 18. Samples from graves are topped by a horizontal bar, over which the designation of the grave is written. 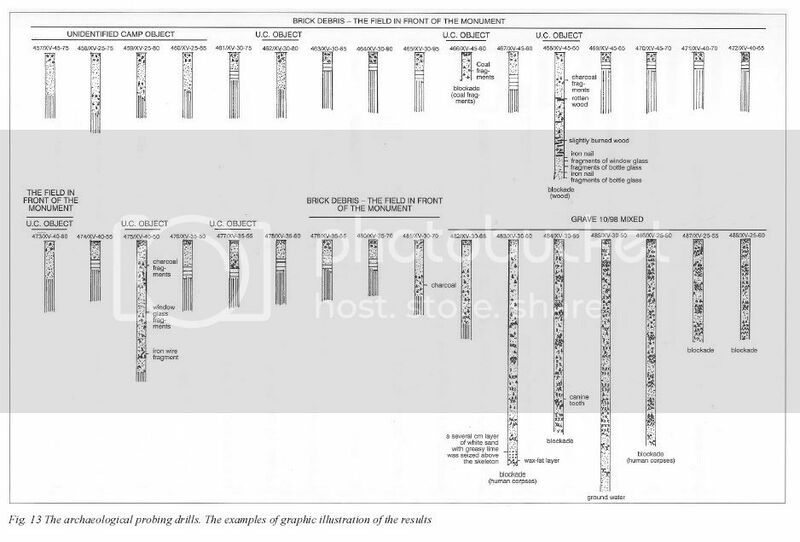 Samples not topped by such horizontal bar, or by a horizontal bar over which the designation of a non-grave object is written, were considered as not being samples from graves. 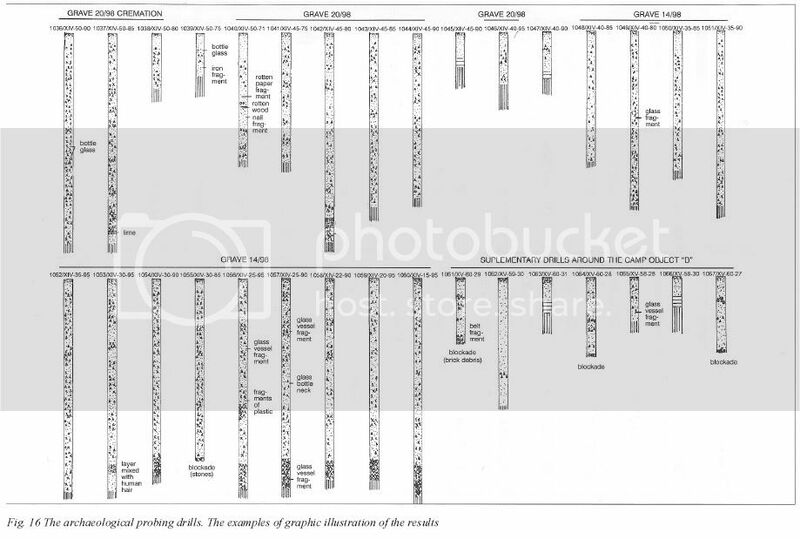 Cross-checking with the descriptions and plans and sections of the mass graves on pages 21 to 39 confirmed this understanding, as none of the samples considered non-grave samples are mentioned there. This refers to the religiously motivated restrictions regarding contact with human remains that Prof. Kola was bound to observe, see the blogs referred to in note 40. As demonstrated in the blogs referred to in note 40. Mattogno, Belzec, page 76. The quoted passage is also quoted in my original blog. As above page 78, footnote 239. See the previous blog Belzec Mass Graves and Archaeology: My Response to Carlo Mattogno (2). Archived ARC - page Belzec Labour Camps. Mattogno, Belzec, pages 79 to 81; quote is from page 81. "The lumbar section belongs to an adult, whereas the forearms come from a child a few years old. From the size of the various bones one can conclude that they belong to persons of different age groups, from two-year-olds up to very old people, as borne out by toothless jaws and numerous dentures. Among the jawbones found there was one partially burnt specimen containing milk teeth as well as incipient permanent teeth, which indicates that it belongs to a person 7 to 8 years of age." - Mattogno, Belzec, page 80. "During the operation, at a depth of about 2 m, we struck the first layer of ash stemming from incinerated human bodies, mixed with sand. This layer was about 1 m thick. The next layer of ash was discovered at a depth of 4 – 6 meters. […] In trench No. 1, the layer of human ash stopped at a depth of 6 meters. The opening labeled No. 2 was taken down to a depth of 6 meters. In this trench, the layer of human ash began at a depth of 1.5 m and continued down to a depth of some 5 m, with occasional breaks. […] Furthermore, at a level of between one and three meters, these holes yielded human ash mixed with sand and fragments of incompletely burnt human bones. Openings labeled Nos. 5, 6, 7, 8, and 9 were dug to a depth of 2 m, but showed only human ash mixed with sand and human bones, such as jawbones and shinbones." - Mattogno, Belzec, page 79. Kola, Belzec, page 13, footnote 14 referring to A. Kola Archeologiczne badańia sondażowe i pomiary geodezyjne przeprowadzone w 1994 r. w Charkowie(in:) edit. A. Kola, A. Przewoźnik, Katyn - Miednoje - Charkow, Ziemia Oskarża. Z prac badawczych i ekshumacyjnych prowadzonych w 1994 roku na cmentarzach oficerów polskich zamordowanych na wschodzie, Warszawa 1996; Dr. Danuta Metz, Zeitgeschichtliche Archäologie in Polen am Beispiel von Exekutionsstätten des Zweiten Weltkrieges, page 2. See Sergey Romanov’s blog And now for something not completely different..., which shows Jürgen Graf and Carlo Mattogno in the company of Yuri Mukhin, the main proponent of Katyn "revisionism" in Russia.